The Republic of Panama has a privileged geographic position bordered on the north by the Atlantic Ocean and the south by the Pacific. It therefore has a plethora of islands varying in sizes and includes uninhabited pristine islets, national marine parks, as well as up-and-coming hipster and backpacker islands with a great nightlife. 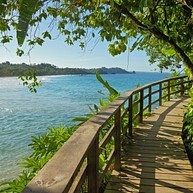 The most popular islands in Panama are Bocas del Toro, San Blas (Guna Yala), Taboga and the Pearl Islands. The Pearl Islands is an archipelago that is comprised of 90 islands and 100 islets. 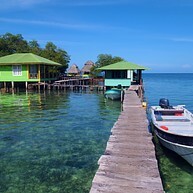 Of all the tourist destinations in Panama, Bocas del Toro is the place where you can really have it all. During the day you can take a tour to any of the amazing islands of the archipelago, sail, sunbathe, swim, surf, snorkel, hike, ride a bicycle around town, and visit an indigenous village or a botanical garden. 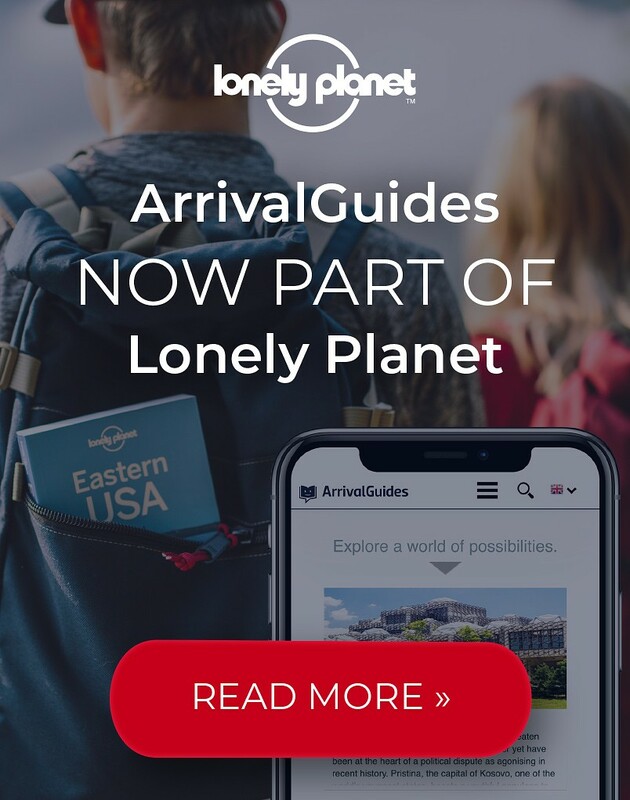 At night you can literally go bar hopping, participate in a talent night, go to a costume party, and dance by a shipwreck, find excellent live music, and best of all, no need to drive. 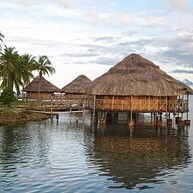 Bocas is constantly changing and transforming itself. There’s always something new and by walking in the streets, you can feel the energy of people coming and going who are happy and feel lucky to be there. All activities can be organized through the various tour operators on the islands. Water taxis are less expensive and make exploring the islands on your own a more affordable option. If you plan on a more leisurely exploration of the islands, sailing may be the best option for you. Bocas is one of the very few Caribbean surf spots with good sized waves. There may be better and bigger waves in the Pacific, but here, when you surf, you do it in turquoise waters, while you ride above colorful coral reefs or white sand. 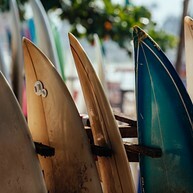 There are beach breaks, point breaks and reef breaks, lefts, and rights for all tastes and preferences. You can find breaks three minutes away from Isla Colon. The preferred surf spots are Wizard, Bluff, Punch, The Point at Carenero and Tiger Tail. It is important to visit these spots with somebody who knows the area, especially if you will be surfing over a reef break. 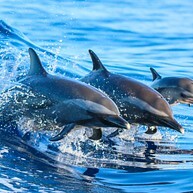 Visit Dolphin Bay and spot dolphins in their natural habitat. Bocas Del Toro is home to some of the best cacao farms in the world and chocolate artisans are flocking to the region to grow, harvest and create chocolate libations to satisfy any sweet tooth. Tours are readily available to learn about the process of farming and producing cocoa. Hire a boat captain at the Bastimentos boat dock on Main Street or arrange a tour with a tour operator and they will navigate you up the Bahia Honda River. You will then hike for about 20 minutes before reaching Bocas' most spectacular cave located in the Bastimentos National Marine Park. There’s a guide from the Bahia Honda community who will take you through the cave. The water comes up pretty high so expect to get wet. There are other bat caves in the area but not as impressive as Nivida. Some hotels have their own kayaks including Lula’s and Cocomo but if you want to see the islands and surrounding reefs up-close in a boat, you can rent one at BiBi’s on the beach in Carenero. Ask any boat driver to take you there from Isla Colon. 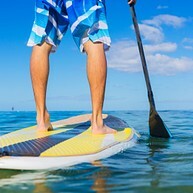 Kayak rentals are based on hourly rates. BiBi’s also rents Stand Up Paddle Boards and offers lessons hourly. Explore Isla Colon on a scenic ride all the way to Bluff Beach. 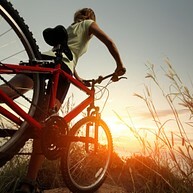 The bicycle is the most popular means of transportation after water taxis. This beautiful farm located on Isla Colon has large collections of heleconias, gingers, palms, flowering trees, fruits, spices and ornamentals. 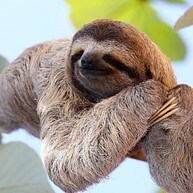 While hiking through the finca you may see howler monkeys, sloths, iguanas, and tiny colorful frogs. There is a wide variety of fruits such as cacao, guava, mammee also known as mamey, nutmeg, passion fruit, pineapple, papaya, tamarind, and nine varieties of bananas, among others. A wide variety of birds call the farm home drawn by its abundance of fruit and flowers. Bluff Beach, located on Isla Colon, is becoming a hot destination for beach lounge chilling and has a reputation for great surfing. 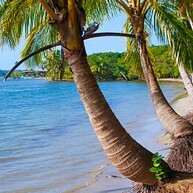 This beautiful palm-fringed white sand beach is a 45 minute drive from town on the other side of Isla Colon. 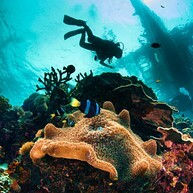 It is a prime location for swimming, snorkeling, and relaxing. 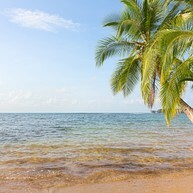 This popular beach is located on Isla Colon and is a great place for swimming. Many starfish hang out in the shallow water near the shore. It can only be reached by water taxi. Isla Carenero is a one minute boat ride from Isla Colon. The beach is on the back-side of the island with shallow clear waters welcoming swimmers. Near Bibi’s beach, there is a large shallow area called “the kiddie pool” by locals which is a great place to hang out in the water and wade in shallow pools. Ask the boat driver to drop you off at Bibi’s or Peter Kent´s for dock access. All beaches are public. Wizard Beach on Bastimentos Island offers swimming in certain areas, diving at Dolphin Rock, snorkeling and surfing. This beach is good for learning to surf as there are no rocks, and the waves aren’t high.